If you're an early adopter of the HTC Vive, you might be disappointed that you can't play any Oculus Rift games on your headset, particularly seeing as the reverse isn't true and Oculus users are free to enjoy some SteamVR goodies. But this rather unfair seeming picture has now changed thanks to a new piece of homebrew magic. A LibreVR plug-in going by the name of Revive has been unleashed on Github, purporting to be a "proof-of-concept compatibility layer between the Oculus SDK and OpenVR". 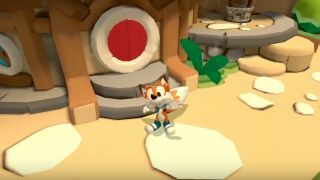 Currently, the patch plays nice with Windows 8 and Windows 10 – Windows 7 support is apparently in the pipeline – and allows you to play Lucky's Tale and Oculus Dreamdeck on the HTC Vive off the bat. These games have been tested and instructions are provided to get them working, with the process requiring an EXE patch due to the code-signing check implemented in Oculus games. Do note that the Oculus runtimes must still be running in the background on your PC while playing because the plug-in works by "re-implementing functions from the Oculus Runtime and translating them to OpenVR calls". You'll also need to use an Xbox controller to play these two titles, at least for now (support for Oculus Touch controllers is planned). Theoretically, you can apply the patch to other Oculus efforts built with the Unity and Unreal engines, and Ars Technica notes it managed to get some other titles going on the HTC Vive. Now we'll just have to see the response from Oculus, which may well move to block this workaround, particularly seeing as these are free launch titles which HTC users are getting to enjoy. One clear thing that this development shows, however, is that in basic terms it's no great feat to get these games onto HTC's VR headset.